The gutters are one of the most important features of a home when it comes to protecting the roofing and siding. They guide water away from the property—but not if they’re clogged with leaves, sticks, nests, and other debris. Keeping your gutters clean is essential to avoid leaks in roofing materials, so here are a few tips to help you do just that. Many people cleaning their gutters for the first time try to remove debris by hand, but you’ll quickly find this is messy and inefficient. Instead, use a gutter scoop. You can buy a scoop, or make one from an old plastic bottle. When your gutter becomes clogged and blocks the flow of rainwater, more and more water begins to pool at the edge of the roof or overflow down the side of your house. These concentrated streams of water can be even more destructive than having no gutters at all, so any time you notice a clog you need to clean it right away. Once you’ve removed most of the material from the gutters and ensured there are no blocked portions, use a hose to run water down the gutters. This will help flush remaining bits and pieces to the downspout, leaving your gutters much cleaner than you could get them by hand. 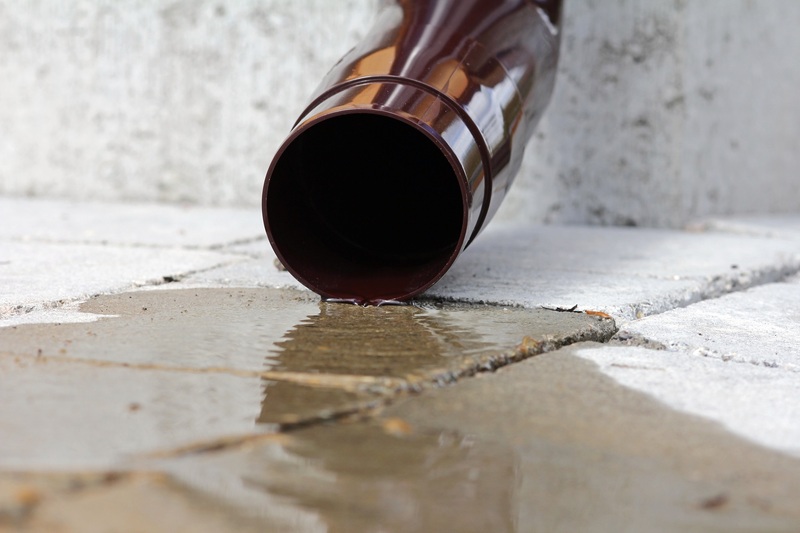 While you’re working with your gutters, wipe down the outside of the pipe to remove dirt, stains, and stray plant matter. Not only will this leave the system looking beautiful and clean, but it will also help you identify any patches of rust or stains on the system. There are a number of gutter cover options, many of which can be easily installed by you or a general contractor. These covers work to keep leaves out of your gutters while allowing water in. They are one of the most effective ways to make cleaning simpler while also improving the gutter’s performance in protecting your roofing system. If you find your roofing or gutters need repair while you are up on a ladder cleaning the area, call CL Siding & Construction in Newark, OH. Their skilled team has over 20 years of experience in building and repairing exteriors for both homes and businesses, and has developed a reputation for the highest quality work. To schedule a visit, call (740) 323-1406 or contact them online.